There are many things to consider when putting your possessions into storage, from ease of access to safety and security. However, at London Removals we have these things - and your belongings - covered. 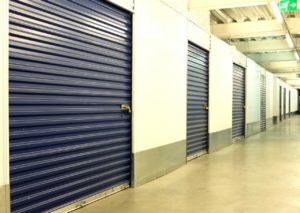 Choosing our self-storage units means keeping your belongings perfectly protected in a location convenient to you. We understand the differing needs of our clients and offer a flexible service to meet these requirements. Security is paramount to us here at London Removals; we know our customers need peace of mind while we're looking after your belongings. 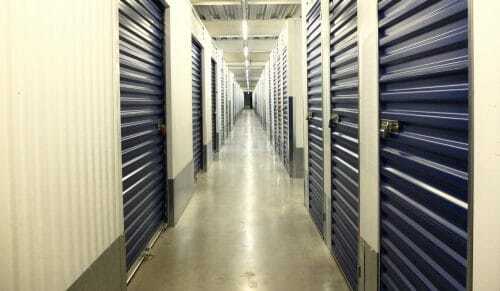 All storage facilities have CCTV in operation, 24 hours a day, 7 days a week. We will also provide you with your own unique code to allow you entry through the secure loading-bay shutters and entry doors. You will also have your own lock on your unit and, depending on your preference, can choose between a key or combination lock. All of our branches make your convenience a priority and offer on-site parking, convenient loading bays, trolleys and lifts. We will even load your belongings based upon your requirements when we deliver them to your unit, or you can simply allow us to pack everything in the best way to make use of the space. Every unit has heating and ventilation to ensure the optimum environment for your items. Climate control moderates humidity. It doesn't matter how long you plan to leave your possessions in storage, London Removals will ensure that every item is returned to you in the same condition it was in when it arrived. And with units ranging in size from 15 to 2000 square feet, all at extremely competitive rates, we believe we can meet all of your storage needs. Business customers receive the expertise of our dedicated team, and our 21 years in business have seen us build up strong relationships with a whole host of different clients, from construction and building firms to retailers and letting agents. If you are a business and struggle with storage space, London Removals can offer a dedicated delivery and receiving service to and from one of our many storage locations. For example: We can receive goods for you and transfer they to your unit for as long as you need and when you require, resend to an address specified by you with accuracy and care. This is a unique, hassle free service with very competitive prices that will save your business time and money. With over 70 branches (40 of which are in London), and 24-hour access, 365 days a year, ease of access can be assured even if you plan to make regular visits. Storage locations across Britain, include Nottingham, Northampton, Manchester, Derby, Coventry, Erdington, Birmingham, Stevenage, St Albans, Southampton, Reading, Portsmouth, Guildford, Camberley, Byfleet and Basingstoke. And if it's our removals and packing services you require, simply call us and we'll send one of our estimators to give you a free, no obligation quote. As a family-run business, with over 19 years' experience, we pride ourselves on our range of services. London Removals can offer a complete, seven-days-a week removals, packing, shipping and storage service. This includes: all-inclusive national and international packing and removals packages. These include free packing materials; comprehensive insurance; professional packing services; short-notice removals; fully trained staff; customised, specialist removal vehicles; and international removals and world-wide shipping.